The Rays made their first round of cuts from big league camp today. 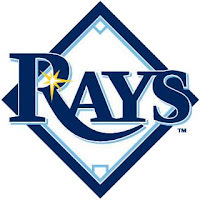 Chris Archer, Nevin Ashley, Alex Cobb, Ricky Orta, Mark Thomas and Alex Torres were sent to minor league camp. Archer appeared in two games this spring with a 0.00 ERA in 3 innings pitched. Ashley was a non-roster invite to spring training and was played in two games, going 0 for 4 at the plate. Cobb was 0-1 with a 2.08 ERA and 4 strikeouts in 2 games this spring. Orta pitched just one inning this spring, allowing no runs but walking two in the inning. Thomas appeared in two games this spring and was 0 for 2 at the plate. Torres appeared in two games and collected a 3.00 ERA with 3 strikeouts and 3 walks in 3 innings pitched. Archer, Cobb and Torres were optioned to minor league camp while the remaining players were just transferred to minor league camp. With the cuts, the Rays have trimmed their spring training roster to 53 52 players. Alex Cobb optioned very early. Is that to get him innings? Is he #1 on the trade bait hook????? Brian Baker, Jonah Bayliss, Matt Bush, Dane De La Rosa, Brandon Guyer, Ricky Orta, Albert Suarez, and Alex Torres. Only one day difference and two of the same players! Very surprised to see Cobb's name as one of those sent down to the minors. Seems a little hasty to me. Thank You Doug. It stinks for Alex. No room at the inn for a talented pitcher.